We offer carefully designed Wheat Grinding Machine, which is extensively used in hotels, canteens and other industrial kitchens for pure and fresh wheat and other grain flour within minutes. 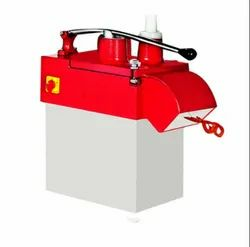 These models are designed with optimum quality materials and heavy cast iron body which encompasses bearing blocks and bush blocks that further results in enhanced productivity. In addition, these machines are also offered in varied specifications to meet the requirements of clients. 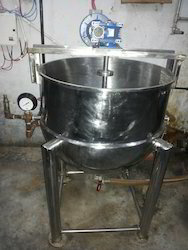 Our customers can avail from us Steam Jacketed Kettle with Stirrer that is available in various sizes and capacities at market leading prices. All these products are widely demanded by several industries like food, chemical, petrochemical and packaging. Our products are designed and manufactured using premium raw material and modern machinery to assure zero defect. 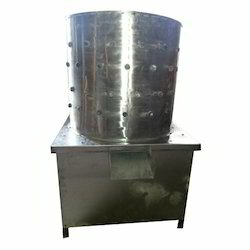 Owing to our rich industry experience and expertise, we have been able to put forward for our clients an excellent array of Electric Operated Steam Jacketed Kettle. Complying industry defined standards, we manufacture the range using finest quality food grade material, sourced from eminent vendors of the industry. Available in different capacities ranging from 50kg to 2000kg, these custom made kettles are offered at most competitive prices. Our company is one of the renowned name of Powder Mass Mixture in the market at present. It is applicable in a number of agricultural and several other industries and is made available from our side at industry leading rates. Working on the principle of differentials of lifting velocity, this machine will most efficiently separate aerodynamically heavier material from aerodynamically lighter material. The lighter material is carried with the controlled air stream to a setting chamber, while the heavier material is discharged out through the air-lock spout. 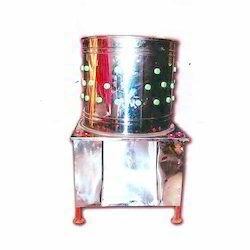 Defeathering Machine is used to remove the feather of the chicken, the duck, the goose and some other poultries. The machine is all made of stainless steel. 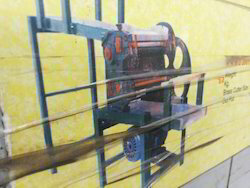 This machine enables the workers to save their effort and does the work of defeathering in just no time at all. It is made available as per the defined industry protocols and at industry leading rates as well. 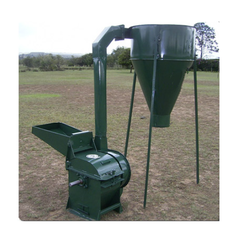 Our clients can avail from us both the range of ordinary and Impact Pulverizer, which is used to grind all types of spices, animal feed, medicines, and poultry feed. 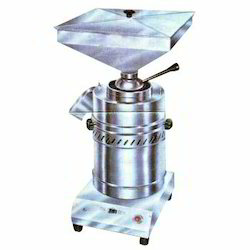 A mechanical device, these machines can grind any types of herbs, spices or any hard material into small particles. 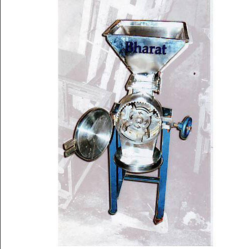 In addition, we offer cold spices pulverizers that can function without foundation as the motor installed in the machines can be operated with the help of a counter shaft. We are offering Spice Grinder to our clients. We provide high-quality products to our clients. Spice Grinder is used for grinding all types of spices . With the efficient support of our professionals, we have been able to bring forward a precision engineered array of Chicken Defeathering Machine. Under the strict supervision of our engineers and technicians, these machines are manufactured using finest grade raw material and sophisticated technologies. 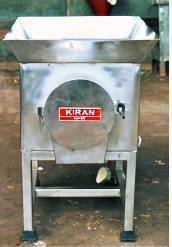 We have achieved paramount success with Ribbon Blender Mixture. These can be availed by the customers in various specifications such as sizes, dimensions and shapes. Moreover, our products are widely used in various industries due to their outstanding features like dimensional accuracy, optimum strength and fine finish. This one comes with a torsion-resistant design, monolock gearbox and slide. Speed control and torque control are the features that separates it from its competitors. Noodles Machine from our side is made available in the market and has emerged out as an ace product. This machine from our side is easy to operate. The whole process mixing the flour to making noodles is full automatic and brings out the noodles in just no time at all. This machine is multifunctional and allows mixing the flour, kneading dough, and making different noodles, making pasta noodles, producing dumpling wrapper and wonton wrapper etc. 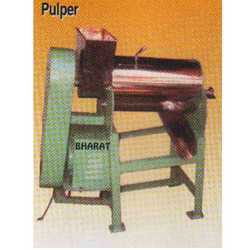 Empowered by a team of expert engineers and technicians, we have been able to offer a wide range of Fruit Pulper Machine. 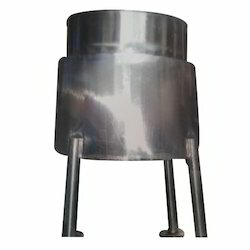 The complete assembly consists of a heavy duty mild steel stand, which holds the central pulping unit of the machines, which consists of a pair of brushes fixed on stainless steel shaft and one stainless steel sieve. In order to successfully meet the diverse kitchen related cutting demands of our clients, we are engaged in offering a wide range of Vegetable Cutter. Fabricated by appropriately blending pure stainless steel with aluminum dishes, these cutters are widely used in hotels, restaurants, caterers, institutional kitchens and other places. Further, to meet and exceed the expectation of the clients, these are molded into various customized designs and shapes as per details provided by the customers. 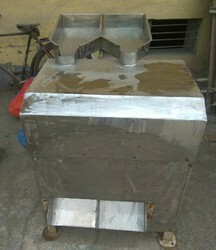 We are offering Hammer Mill to our clients. We provide high-quality products to our clients. 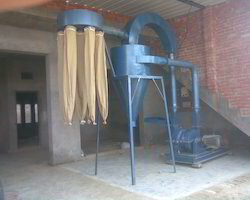 Hammer Mill is used for grinding Turmeric , spices , Besan and so on. As an ace name of Gravy Machine, we have marked our name very strongly in the market. These products from our side are high precision two way separators working on the terminal velocity principle for the separation of aero-dynamically lighter material from heavier material. Lifting velocity is dependent on the shape, surface texture and density which affect the aerodynamic behavior of the product in the air stream.